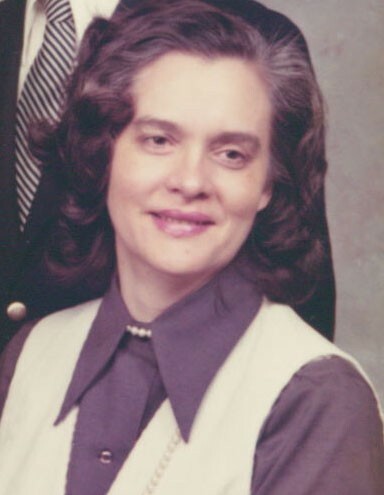 Julia Frances O’Neal Anderson Nelson was born February 27, 1932 in LaFayette, Walker County, Georgia She passed away September 4, 2018 at Quality Care Health and Rehab in Lebanon, Tennessee. She was the oldest daughter of the late Robert Grady and Minnie Elizabeth O’Neal. After retiring from Lockheed-Martin Marietta with 30 years she moved to Lebanon. In addition to her parents, she was preceded in death by her first husband, Douglas Albert Anderson; second husband, Willie Thomas Nelson; brothers, Lawrence "Pooch" O’Neal and Danny O’Neal and sister, M. Grace Rogers. She is survived by her three children, Jason (Sherry) Anderson, Jonathan (Melissa) Anderson, and Elizabeth (Truman) Shahan; seven grandchildren, Walter (Rebekah) Shahan, Daniel Shahan, Jennifer (Daniel) Demay, Rebecca (Lance) Troutt, Brandon Anderson, Sean Anderson, and Jack Anderson; seven great-grandchildren; three brothers, Robert "Snooks" (Jo) O’Neal, David (Brenda) O’Neal, and James (Jannette) O’Neal and sister, Susan (Paul) Hentz and many nieces and nephews. Graveside memorial service will be at Crestlawn Memorial Park in LaFayette, Georgia on Saturday, September 15, 2018. The family would like to extend a special thanks to the dedicated staff at Quality Care for Health and Rehab for her loving care and the Avalon Hospice for continued support in their time of need. In lieu of flowers the family requests contributions be made to Sherry's Run P.O. Box 8, Lebanon, TN 37088.